Add a touch of zing to your everyday culinary lives with condiments, rare spices and even an award winning batched cocktail programme. 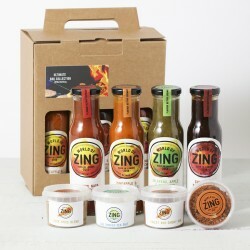 World of Zing has brought together some of the UK’s most exciting flavour experts – from chefs to street foodies and mixologists – to create an inspiring range of produce and ingredients that reflect contemporary eating and drinking habits. Our range comprises everything from condiments by the most exciting artisans to rare spices and even an award winning batched cocktail programme. 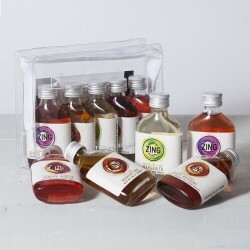 We also offer various gift sets, from Hot Sauce Collections to Craft Cocktail Hampers. 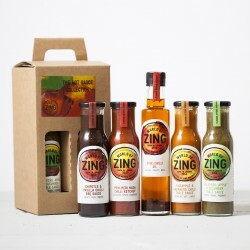 Both the World of Zing and their pioneering cocktail collection have set the media alight, including The Telegraph, Observer and regular slots on Channel 4 Sunday Brunch!